The White House has announced the appointments of several college presidents and business leaders to be members of the President’s Board of Advisors on Historically Black Colleges and Universities (HBCUs). Among the appointees is Bennett College president Dr. Phyllis Worthy Dawkins. Kevin Wilson Williams of Tennessee. 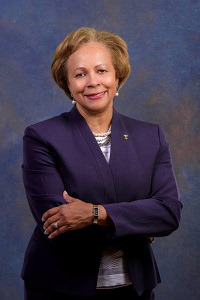 The board will serve to assist the President and the Secretary of Education on improving the “identity, visibility and distinctive capabilities and overall competitiveness of HBCUs” and engaging different communities in a national conversation regarding new HBCU programs and initiatives, according to Bennett College News.